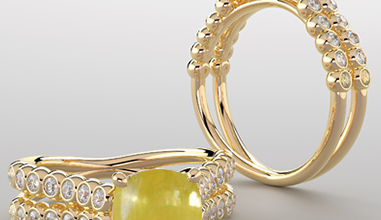 There is no denying that gold has been winning the hearts of jewelry lovers for centuries now. With its immaculate sheen and stunning looks, the metal is favored by many. 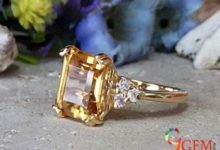 However, there are some who look for options other than traditional gold and who wish to experiment with jewelry types. For them, finding an alternative to yellow gold becomes important. 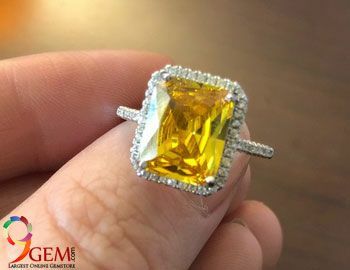 If you are one of them and you are in search of the perfect options that can help you revamp your jewelry collection with choices that are as gorgeous as traditional gold but give a unique feel, then keep reading. 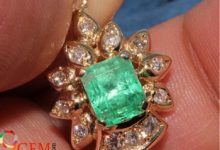 This article will list all such alternatives that you can try to go beyond the traditional metal, gold. 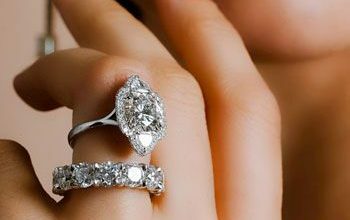 Diamonds are hailed as a girl’s best friend. 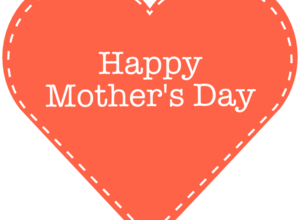 And with their sparkle and high durability – they certainly are! From western wear to traditional, you can rock any look by complementing it with diamond jewelry. This eternal jewelry option never goes out of style and can be embraced in different forms – be it rings, a bracelet, a spectacular necklace or a dainty pair of earrings. All that matters is your taste, and you will find a perfecting diamond jewelry piece matching your preferences. 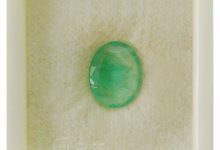 Natural gemstones have been ruling the world of jewelry since ancient times. These make the perfect alternative to gold jewelry with their extraordinary looks and somewhat magical properties. In fact, with extremely high durability and striking colors, many gemstones like sapphires and rubies have become a favorite alternative to gold and diamonds. 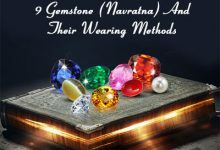 Apart from precious gemstones like rubies, sapphires, and emeralds, there is a wide range of other semi-precious gemstones like aquamarine, garnet gemstone, opal, etc. that can adorn your jewelry with their exquisite charm. This is another exquisite fashion jewelry option that has been favored by those who seek something else than gold. More often than not, you would find Indian brides flaunting Kundan jewelry with precious stonework, looking absolutely wonderful. With intricate designs, the dazzling Kundan jewelry involves minute details such as minakari. Over the past few years, many famous Bollywood personalities have been seen wearing extravagant Kundan jewelry featuring chokers, jhumkas, mathapatis, and even bangles with fabulous artwork. If you are also a fan of traditional jewelry, then switch to Kundan, and you will not be disappointed for sure. A rare metal, palladium is used by those who love exclusivity. It makes undeniably high-quality jewelry, without costing a fortune. With a beautiful appearance that resembles white-gold, this metal is not easily susceptible to tarnishing, and hence, a great choice for engagement and wedding rings that are meant to be worn regularly. When compared with other metals, it is lighter in weight and is hypo-allergenic too. 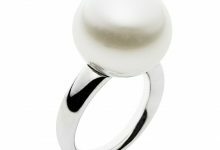 Pearl gemstone jewelry is the classic substitute for gold that has enticed jewelry lovers since time immemorial. With versatility and panache that is hard to find in other gemstones, pearls can go well with modern attires as well as traditional ones. 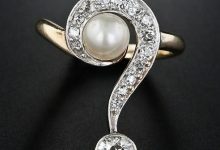 Perhaps, this is the reason why many ladies can’t do without including pearls in their jewelry collections. From earrings to bracelets and necklaces, pearls can be worn in different ways – all of them creating a timeless grace that is entirely marvelous. Another rare metal which requires little to no maintenance, platinum is quite popular for making its way in the wedding jewelry collections of many celebrities across the world. Its sheer splendor and top quality make it one of the perfect alternatives to gold. No wonder why, it comes with a hefty price tag! Thanks to its durability, the metal doesn’t wear out easily and needs just a little care to maintain its magnificence. With its raw appeal and magnificence that is tremendously enchanting, silver is one of the preferred choices of jewelry makers. But, as pure silver is too soft to be used in jewelry, it is often alloyed with other metals to get the much-needed hardness and durability. When silver is combined with alloys like copper, it results in sterling silver. This alloy contains 92.5% silver and 7.5% of other metal alloys, mostly copper. While sterling silver makes a great option when it comes to jewelry, it is prone to tarnishing. In order to reduce tarnishing, silver is combined with metals other than copper like zinc, boron, platinum, silicon, and germanium and boron. Who says gold always has to be in yellow? Take a shift from traditional yellow gold by switching to the attractive white gold alternative. 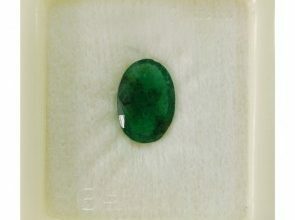 It not only gives a hint of modernism but also goes well with diamonds and other gemstones like emeralds, and rubies. 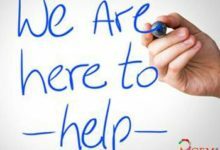 An alloy of gold and at least one white metal, which is mostly palladium, nickel or manganese, white gold is highly durable and is somewhat identical to platinum. However, this alloy comes at a much lower price than the platinum metal. Now that you know some truly amazing alternatives to gold jewelry, go for them and be a fashionista in the real sense of the word! Let us know if you have any query about the gemstones and gemstone jewelry in the comment section. We will definitely give you the solution about that. 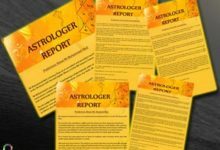 Share your comment about the astrological gemstones.